Free monthly email news: Go! 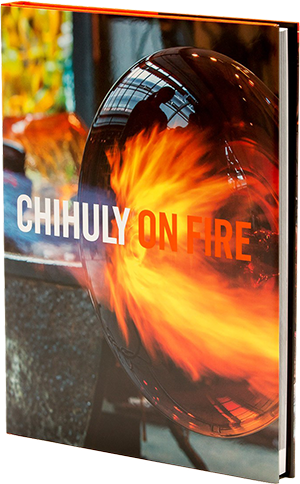 For the remainder of 2016 I am waiving the normal shipping charge and also offering a complimentary copy of Chihuly’s beautiful coffee table book, CHIHULY: On Fire, for all purchases of 2016 Studio Editions. Please call or email me for prices on these beautiful small-scale jewels. 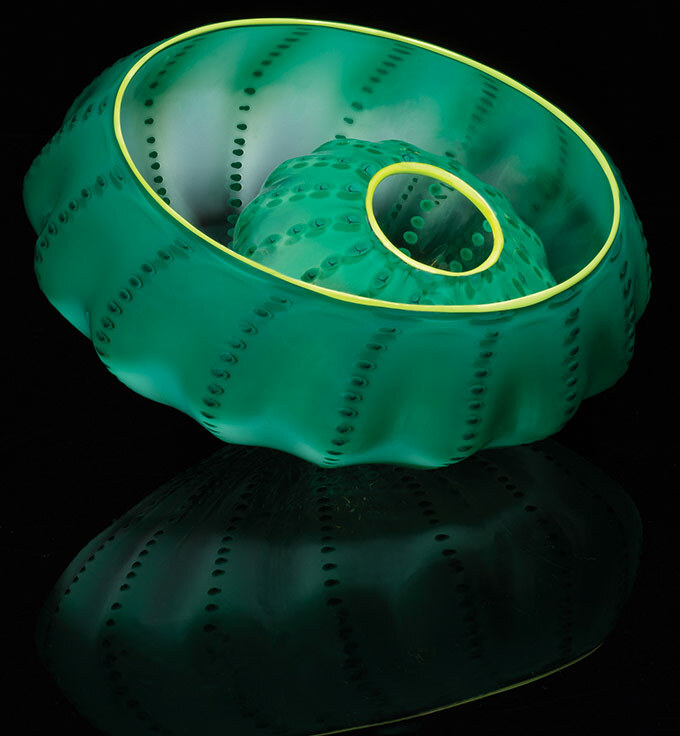 Washed in tones of aquatic green, this two-piece composition echoes the vestiges of Chihuly’s earliest Seaform series in which he originally employed a softer color palette. Each piece is highlighted with a citron lip wrap. This two-piece Studio Edition speaks to the unrestricted movement and energy for which the Persian series is known. The black lip wraps on both elements complement the golden yellow of the smaller element and the rim of the outer one. Another great example of the Seaform series, the Star Fire Seaform is an intricate example of the traditional Venetian body wrap. The brilliant orange and red in both elements is highlighted by a navy blue lip wrap. 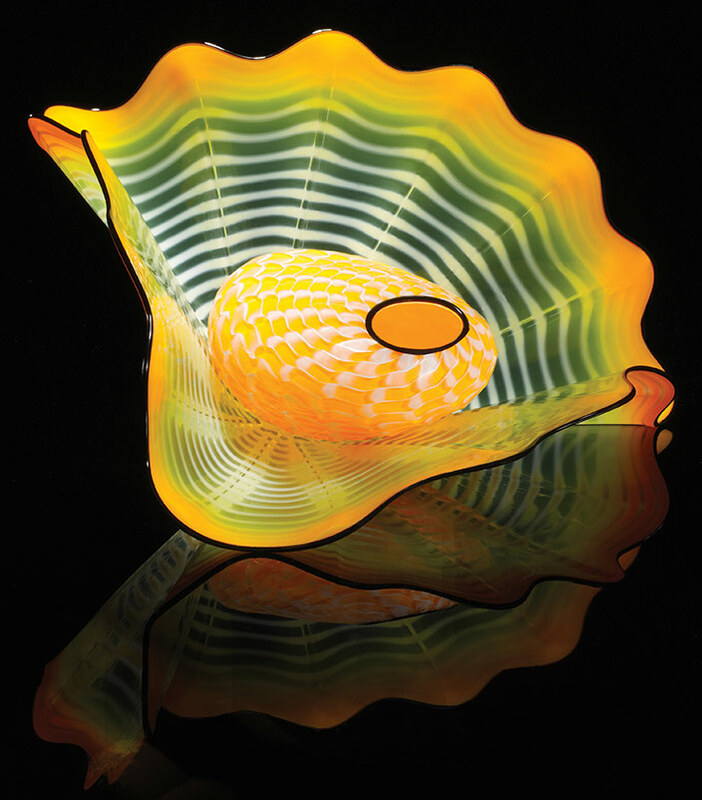 A stain glassed window and a foggy day inspired Dale Chihuly’s vibrantly bold Macchia series. 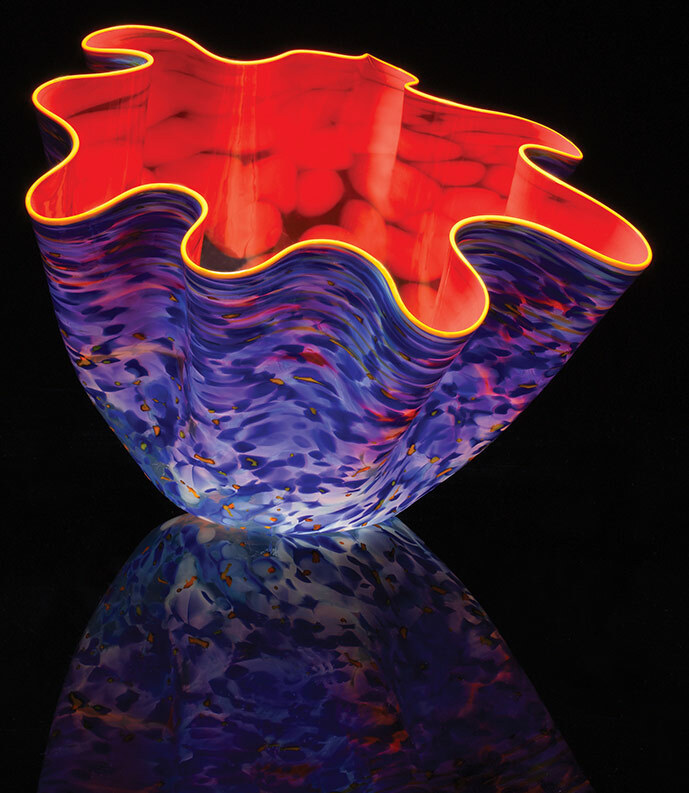 The luminosity of this piece is created by layer upon layer of colored glass, including a layer of white sandwiched between the vivid red-orange interior and the variegated blue clouds that flow across the surface. The yellow-orange lip wrap adds a dramatic finale to the piece. Please keep in mind that the selection of work shown is a small sampling of what is available. 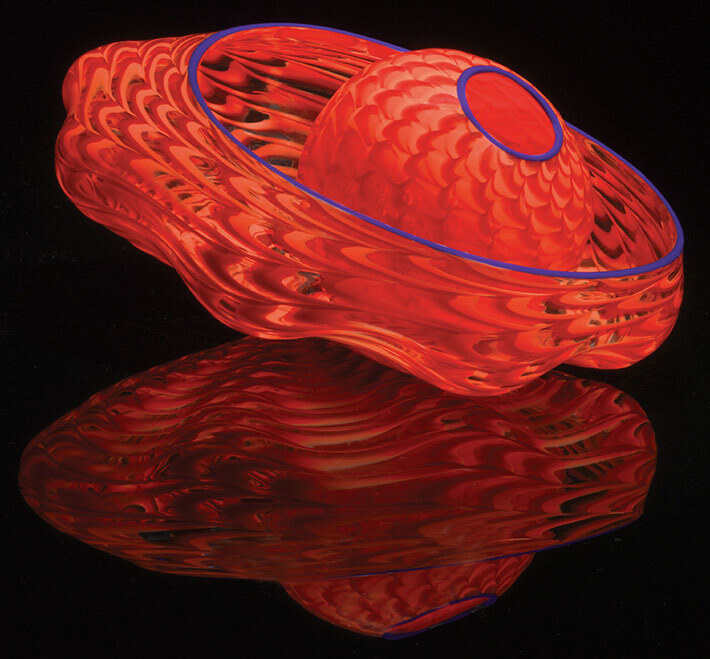 We welcome special requests and work closely with collectors to find glass sculpture that will compliment their glass collections.